is an idyllic place of beauty and charm and an oasis of peace away from the modern world. The houses are made of the same tufa rock that the town is built on, making them feel as a natural organic extension of the cliffs. The streets are filled with hydrangeas, geraniums and jasmine, many wondering cats, a few enchanted tourists. 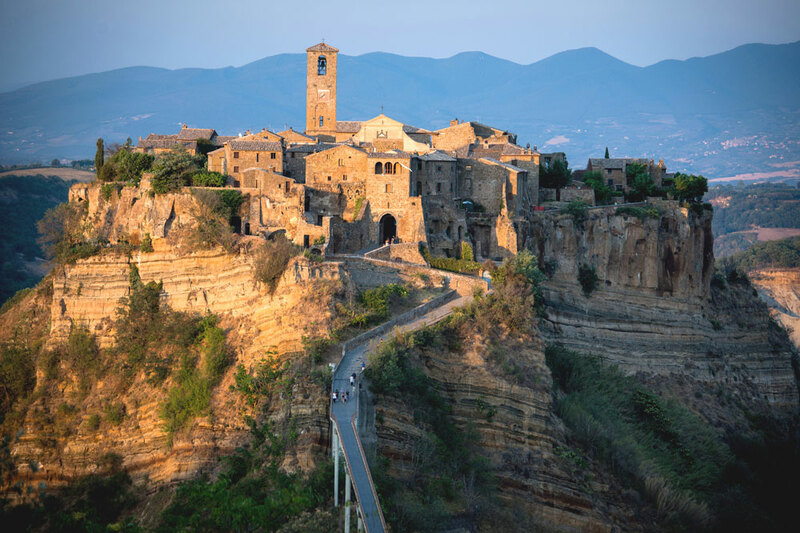 Rick Steves calls Civita “the most beautiful village in Italy”.